Discover action-packed gaming, entertainment and accommodations in Laughlin, Nevada! Just 90 miles from Las Vegas and an easy drive from Phoenix, Los Angeles and San Diego, the Casinos in Laughlin are bringing a new level of sophistication to the banks of the Colorado River. Enjoy the high-roller experience in a friendly, down-to-earth setting. Inquiry about our stay and play packages with one of the 8 local casino partners. Laughlin Ranch Golf Club reserves the right to change price and offer at anytime. Prices and offer are subject to change without notice. 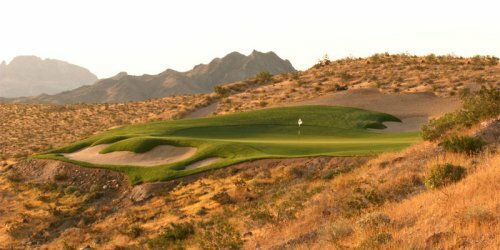 GolfTrips.com is not responsible for errors posted in this golf package.